This week in "Thanks, Internet" --- Jacob Tremblay busts a move, Adam Driver looks like a cat, and the first flower in spacewin the internet this week. When Jacob Tremblay won a Critics Choice Award for his role in "Room" this weekend,he wowed the crowd with one of the cutestacceptance speeches in recent memory and then celebrated by becoming the best thing to happen to "Uptown Funk" since "Newsies." I can't wait until Tremblay is on "Dancing with the Stars." Astronaut Scott Kellydeserves a gold star for hisgreen thumb. Kelly has successfully grownthe first flower ever in space, a zinnia. No word yet whether he had to science the shitoutof anything to grow it. All those great Batman fight graphics in one awesome, alphabeticalGIF. BAM! BIFF! BONK! 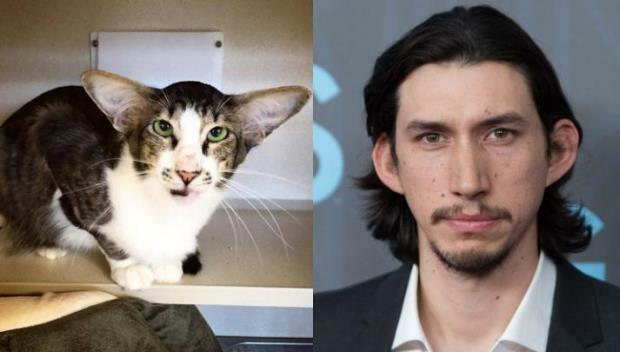 This week, the internet explodedover the realizationthat this catlooks just like Adam Driver(and it helped get the cat adopted). In related news, Twitter user@YouAreDogNowwill find your dog doppelgnger. Which is pretty awesome. On Tuesday, Sarah Palin endorsedDonald J. Trump's campaign for President. She said a lot of words. Some made more sense than others.True to fashion, the internet has gone and made them better.